As sensitive to color as the human eye can be, it simply cannot define color differences quantitatively for precise and repeatable analysis. 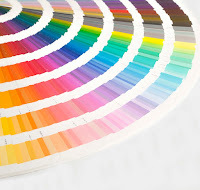 In some cases, visual perception of color variance could mean shipping a batch of product that does not meet specification, and in other cases, it could mean discarding a batch of good materials. These costly mistakes can be avoided when tolerances are established and differences are quantified. How can you tell if the color is right? There are a number of ways to determine whether a batch falls within an acceptable tolerance; however, not all methods will provide precise results. At Americhem, we suggest that the best and most accurate way to test acceptable color tolerance is to use an elliptical pass/fail system, which is based upon an equation developed by the Colour Measurement Committee. This system places a customizable emphasis on hue and chromaticity value, allowing you to determine how much weight is placed on the hue and chromaticity differences of the two colors. Having good tolerances in place for each product allows you to make quick and easy pass/fail or ship/don’t ship decisions that can directly impact the profitability of your business. At Americhem, we understand how challenging it can be to accurately define color tolerances. You can read an article in Plastics Engineering about Measuring Color from Americhem Color Expert, Ron Beck. For more information on color tolerancing or to learn about Americhem’s services, visit americhem.com or contact Scott Blanchard at sblanchard@americhem.com.